Looking for legal funding while you have a pending worker’s comp lawsuit can be tough. Some settlement funding companies expect you to fill out lengthy applications; others think that in exchange for a loan settlement you should be willing to pay high interest rates. However, we at Interstate Lawsuit Funding work hard with Illinois plaintiffs to help provide you the lawsuit cash advance you need at a rate you can afford. We are here to help provide the lawsuit advance funding you need at a cost you can afford. Unlike other lawsuit loan companies, we have designed our process with you—the consumer—in mind. 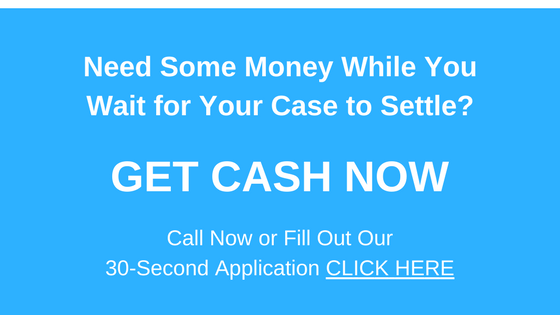 We make obtaining a litigation loan easy, fast, and convenient. It takes roughly 30 seconds for you to fill out an application with us. That lets you work towards getting a settlement cash advance without having to wade through reams of paperwork to get there. What’s more, we bear all the risk in the matter: we only collect if you win your case, so if you don’t win your suit, you simply walk away. You won’t have to repay the loan. Some Illinois settlement lenders will require an in-depth check into your creditworthiness—including running a credit check. We don’t do that. We are here to help you get the funding you need quickly and with no hassle. So you don’t have to worry if you don’t have good credit. The fact is, it doesn’t matter to us! We lend directly to our customers. That means you don’t have to pay commission to salesmen, brokers, or anyone else. This keeps your costs down, and makes it easier for you.